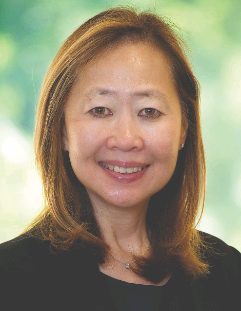 Linda Wong is the CEO and Partner of Wong Fleming. She is Chair of the Firm’s Employment and Labor Law Practice Group and Chair of the Trial, Insurance Defense and Coverage Practice Group, and the Intellectual Property Practice Group. Linda Wong is a leading authority on employment law and civil litigation. She concentrates her practice on employment, commercial, insurance defense and intellectual property matters, involving terminations, harassment, contract disputes, insurance coverage, general liability defense, trademark and copyright actions and restrictive covenants. She has also handled litigation involving Title IX and other related matters involving discrimination and harassment in collegiate and high school athletics and constitutional claims involving public entities. In 2005, Ms. Wong was the recipient of the Trailblazer Award from the National Asian Pacific American Bar Association. This award recognizes the outstanding achievements, commitment, and leadership of NAPABA lawyers who have paved the way for the advancement of other Asian Pacific American attorneys and who have made contributions that demonstrate vision, courage, and tenacity which have resulted in a substantial and lasting contribution to the Asian Pacific American legal community, as well as the Asian Pacific American community at large. She is a frequent presenter at national and local bar associations and is a trainer and consultant on employment law issues, including sexual harassment for major corporations and public institutions. Ms. Wong received her juris doctorate in 1982 from Rutgers School of Law and her bachelor’s degree in 1974 from Rutgers University. She is admitted to practice in New Jersey, New York, Pennsylvania, and Washington, D.C. and has been recognized as a Super Lawyer in the area of Employment & Labor Law from 2005 through 2017. - Represented Fortune 500 companies, other businesses and public entities in litigation including matters relating to privacy, hiring, wrongful discharge, whistleblower, family leave, disability leave, wage and hour, and discrimination claims. - Represented national insurance companies and self-insured corporations in employment, life insurance, coverage and general liability (e.g., construction litigation, toxic torts, defamation, premises liability) matters. - Represented the entertainment industry and other corporations in intellectual property actions, involving cyber privacy, copyright, antitrust, licensing, and trademark claims. - Successfully litigated commercial matters involving defaulted bank loans, breach of contract actions, restrictive covenants in real estate matters, brokerage commissions, premises liability, and title issues. - Represented financial institutions in bankruptcy proceedings, involving, among other things, debtor in possession financing, fraudulent transfers, the appointment of receivers, representing trustees, and preference actions. - Litigated complex matters involving discrimination in collegiate and high school athletic programs, standards of care under national and local athletic regulations, coaching and team physician protocols, eating disorders in athletes, and ethical standards governing athletics. - Trained hundreds of employees for major corporations and the judiciary on how to prevent sexual harassment and other discrimination, and conducted investigations into claims of dismissal. - Prepared separation packages, post-employment confidentiality and non-compete agreements and policies, dress code policies, anti-discrimination policies, personnel manuals, and related services. - Incorporated businesses, formed limited liability corporations, and prepared and reviewed licensing and correspondent agreements, leases, and other business contracts. - Served as mediator in arbitrator in employment, insurance and Hurricane Sandy litigation. - Certified Arbitrator for the U.S. District Court for the District of New Jersey. - “Recent Developments Under The Federal Family And Medical Leave Act” (New Jersey Labor and Employment Law Quarterly, New Jersey State Bar Association, 1996). - “Overview of the ADA: Legal Protections for Persons with Disabilities” (New Jersey Lawyer, July 1995). - “A Comparison Between the Federal Family and Medical Leave Act and New Jersey’s Family Leave Act” (New Jersey Labor and Employment Law Quarterly, New Jersey State Bar Association, Fall 1993). - “Recent Developments Under the Family Leave Act” (New Jersey Labor and Employment Law Quarterly, New Jersey State Bar Association, Summer 1993). - “A Comparison of the Federal Americans With Disabilities Act and the New Jersey Law Against Discrimination” (New Jersey Labor and Employment Law Quarterly, New Jersey State Bar Association, Vol. 16, No. 1, Fall/Winter 1992). - “Expanding Civil Rights: 1988′s Fair Housing Amendments Act” (Minorities in the Profession Section Newsletter, New Jersey State Bar Association, April 1991). - “Regulatory Investigations” (Panel Chair, MIHCA Conference, September 2015). - “Picking up where Upjohn Left Off: Best Practices in Attorney- Client Privilege for In-House and Outside Counsel in the Digital and Global Age” (Panelist, NAMWOLF Annual Meeting, September 2014). - “Beyond the Business Case: Diversity in Small and Medium Sized Firms” (Presenter, ABA Section of Litigation Annual CLE Conference, April 2013). - “Mediation Skills Workshop-Dispute Resolution & Litigation” (Moderator, MCCA Annual CLE Expo, March 2013). - “Contract Litigation: ‘Fish or Cut Bait-Settle or Defend’” (Presenter, MCCA Annual CLE Expo, March 2013). - “Diversity in the Courtroom” (Presenter, MCCA Pathways to Diversity Conference, September 2012). - “Pitfalls of Social Networking” (Presenter, NAMWOLF Regional Conference, May 2012). - “Managing Minority & Women Owned Law Firms in the Current Economy” (Presenter, NAPABA Eastern Super Regional Conference, June 2012). - “Marketing in the Social Media Age: How Women, Minorities, Solo Practitioners and Small Law Firms can ‘Tweet’ Themselves to the Front Page” (Presenter, ABA Section of Litigation Annual Conference, April 2012). - “How to Avoid the Pitfalls of Potential Charges of Economic Espionage and Trade Secret Theft” (Presenter, Sino-American Pharmaceutical Professionals Association, Greater Philadelphia Chapter, March 2012). - “Bankruptcy Preference Actions” (Presenter, NAPABA Northeast Regional Conference, June 2011). - “Impact of Economy on Legal Diversity Initiatives” (Presenter, The Minority Corporate Council, November 2010). - “Post Racial Era: Fact or Fiction?” (Presenter, The Middlesex County Bar Association, February 2010). - “How APA Firms Can Thrive-No Matter the Economy” (Presenter, The National Asian Pacific Bar Association, November 2009). - “Launching (and Navigating) Your Legal Career in Challenging Times” (Presenter, American Bar Association, September 2009). - “Labor & Employment Track: Life after Ledbetter and Other New Developments in Labor and Employment” (Presenter, New Jersey State Bar Association, May 2009). - “Get Into The Game: Labor and Employment Update” (Presenter, The National Asian Pacific American Bar Association, April 2009). - “Employment Law: Winning Trial Strategies” (Presenter, The Association of Trial Lawyers of America, October 2008). - “Managing Dress Code Policies in the Workplace” (Video Presentation and News Article, Business Week Magazine, October 2007). - “Using the Media in High Profile Cases” (Presenter, New Jersey State Bar Association Annual Meeting, May 2007).